Italophiles are always thrilled when a movie or tv series is set in the Bel Paese, but most programs filmed against the backdrop of Italy are sappy romances or travel shows. If your pop culture tastes lie outside these genres, you aren't often treated to seeing American stars walking the cobblestone streets and sitting in the bustling bars of your favorite Italian city. The Netflix comedy Master of None is an edgy outlier. This modern comedy/drama follows the adventures of a 30-year-old Indian-American actor Dev (played by the comedian and show's co-creator Aziz Ansari) in New York City, where he is trying to build a career, find love, and balance the expectations of his parents with his Millenial lifestyle. Since its debut in 2016, the show has been a critical success, received multiple awards, and was considered one of the best new programs last year. The newly-released second season begins with Dev getting over a failed romance in the small city of Modena in Emilia Romagna, where he has apprenticed at a local pasta shop making the region's iconic tortellini and discovered the joy of authentic Italian cuisine. Though true Italy aficionados will wince at a few of the gratuitous stereotypes that come out during the first two episodes set in Modena - many of which are part of a storyline homage to “The Bicycle Thief”, Vittorio de Sica's 1948 classic set in Naples - many other details ring delightfully true. The informal elegance of northern Italy's provincial cities, the picturesque squalor of rental apartments in historic palazzi, the coffee culture, the liberal sprinkling of the filler word “allora” in colloquial speech: anyone who has spent more than a brief vacation in Italy will recognize that Ansari and co-creator Alan Yang have a genuine affection for this nuanced country, and were careful to bring a generous dose of realism to the screen, alongside the dreamy, airbrushed Italy that so often appears in pop culture. 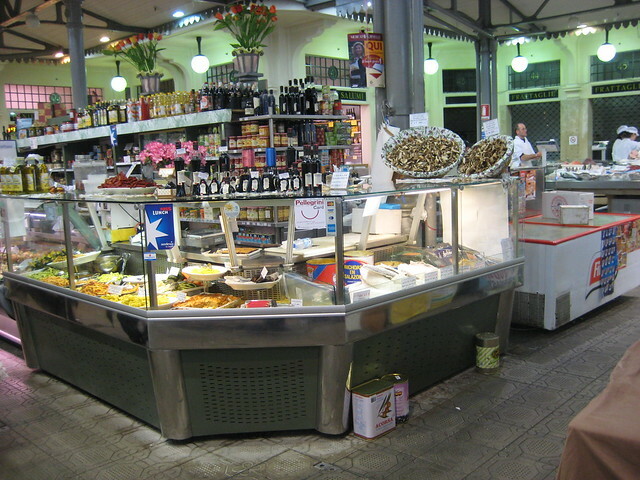 Modena's historic covered market has been where locals buy their fresh produce, meat, and fish since the early 1900s. 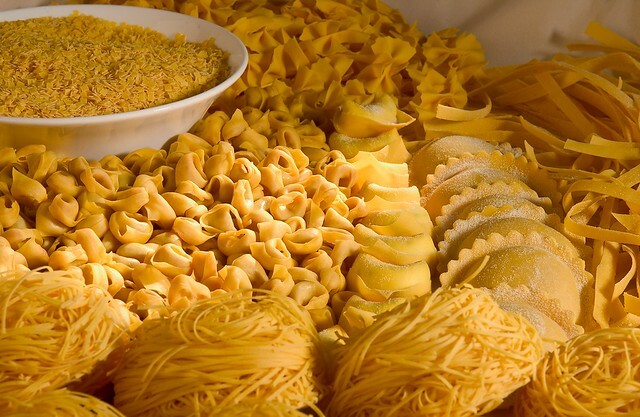 This is a wonderful spot to explore the stalls side-by-side with the fussy Modenesi, who choose their fresh pasta, prosciutto, and strawberries with care each morning (or afternoon on Saturdays). Just don't follow the example of Dev and help yourself to samples: generally only loyal customers are allowed that privilege. Just a block away from the market, this neighborhood cafè is a local favorite. The bar's real owner serves Dev his espresso at the very beginning of episode 1, and the collection of photos of famous patrons, rather dated bar lined with liqueur bottles, and lightening-fast coffee service is all strikingly authentic. There is no hipster vibe in this traditional bar, just excellent coffee and pastries. This is Modena's oldest bar, beloved for the hospitality of the Rubaldi family who has been making their trademark sandwiches here since the 1970s. Choose from five gourmet selections listed on the chalkboard inside - by far their most famous is the cotechino (a type of sausage) with salsa verde and balsamic vinegar - and enjoy it at one of the charming outdoor tables just like Dev and Arnold. Dev celebrates his birthday with friends at this local wine bar in episode 1, and the friendly atmosphere, local Modenese specialties, endless selection of wines, and live jazz make this the perfect choice for an informal dinner with friends. If you are looking for something light, simply order a charcuterie or cheese plate and a glass of Lambrusco DOC and call it a night. 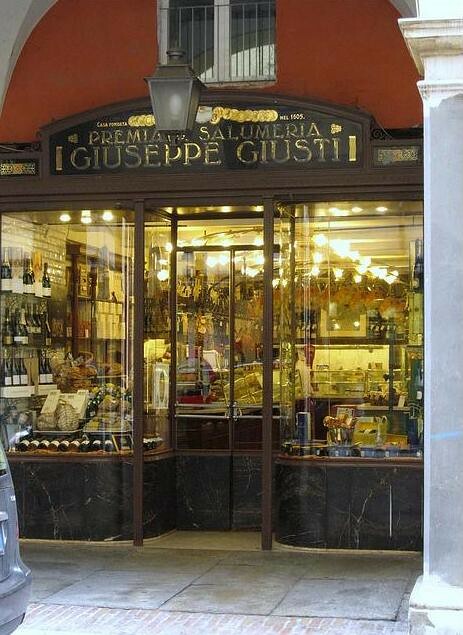 In a country obsessed with public health regulations, Osteria Giusti is a bit of a surprise. Patrons enter the hidden dining room by passing behind the deli counter (the front salumeria is closed from 11 to 5 each day) and through the kitchen to the four tables tucked into the back room, which can also be entered from Via Emilia around the corner...but where's the fun in that? 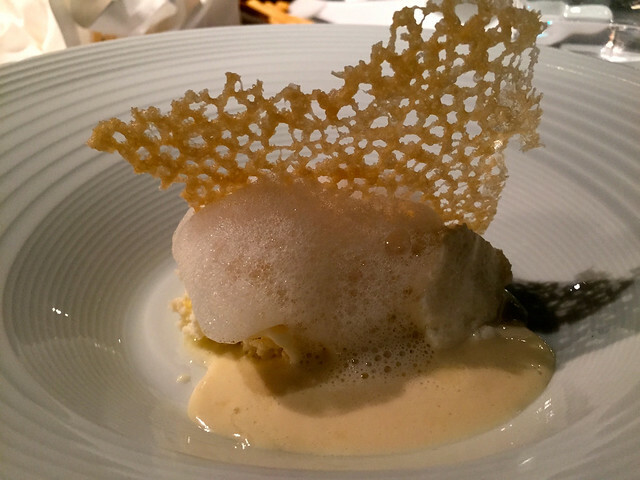 Dev takes the fun way to Mario Batali's favorite restaurant in Italy, and so should you. It takes weeks, if not months, to score a lunch reservation here, so plan ahead. Massimo Bottura's famed three-Michelin-star restaurant vacillates between the number one and number two restaurant in the world, and the scene of Dev and Arnold's dinner there captured the perfect tone of fine dining gravitas enlivened by Bottura's unique sense of whimsy. You won't be able to dine in the wine cellar, which is normally closed to the public, but you can book a table (with enough advance planning) in the hushed temple of gourmet cuisine upstairs or, if you are looking for a more festive atmosphere, enjoy dinner at Bottura's Franceschetta58 (Via Vignolese 58) nearby. 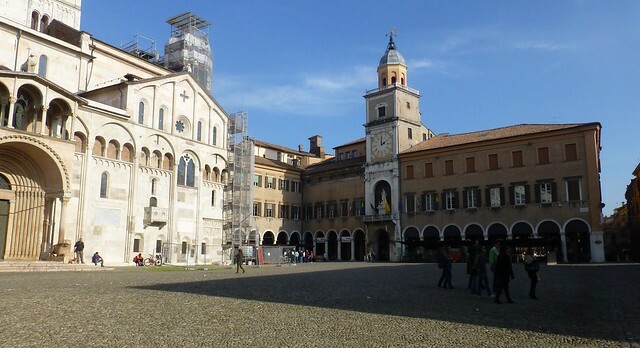 Pavarotti's home town of Modena has more than just unforgettable food, however. 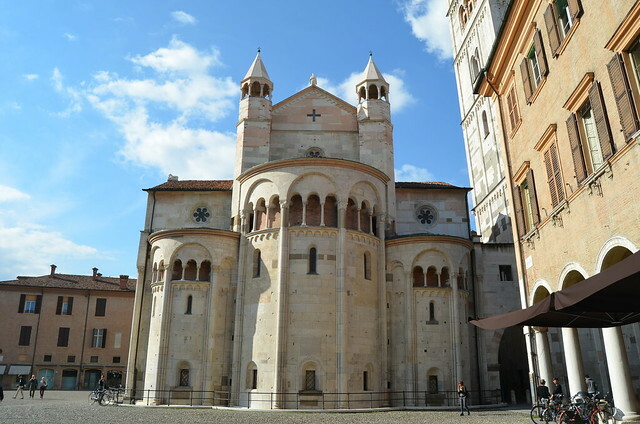 Be sure to visit the city's Romanesque cathedral, dating from 1099 and among the best-preserved in Italy, and the Accademia Militare, seat of the independent Duchy of Modena until 1859. Home to the Ferrari and Maserati, auto enthusiasts can visit one of its five automotive museums or test-drive La Rossa on the track in nearby Maranello.